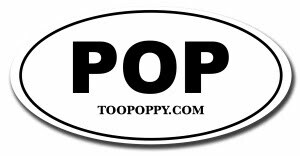 Too Poppy: Did I Tell You I Need You? Did I Tell You I Need You? "We are very for it, we've been pushing it. But there are a couple of sticking points, I understand. So the last word I got back was that it had stalled, the whole process. "They [EMI] want something we're not prepared to give them. Hey, sounds like the music business. "It's between EMI and The Beatles. What else is new." Right, so, in the meantime, just rip those crappy-sounding CDs you already have and get by for a while. Update: Here's a decent write-up of the situation at Apple 2.0. I'd have the agree that the window is rapidly passing for the digital Beatles to be a huge success unless they just knock it out of the park with marketing, extras, etc. I think most casual fans already have the songs they want ripped from CD's or "borrowed" from friends.